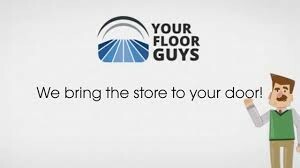 At Your Floor Guys, we know flooring and have been providing Phoenix, Tucson and Maricopa county with awesome flooring sales, cleaning service and expert install work 7 days a week for over 2 decades! We pride ourselves on having the best trained staff in the business, and no matter if you are in the market for carpet, tile laminate, wood,vinyl, stone or another type of flooring in your home or business in AZ, we will make sure that you get the level of service that you deserve. We are open 7 days a week for your convenience, and can offer next day installation of flooring in most cases. We carry a HUGE selection of brands and styles form the best manufactures in the industry, all backed by a free lifetime installation warranty.